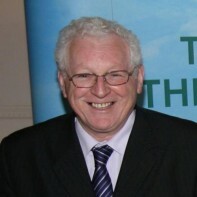 Séamus Kirk has been a TD for Louth since November 1982, and is the current Ceann Comhairle. By virtue of that office, he automatically retains his seat in the next Dáil - though he must formally declare himself as a candidate in order to claim the privilege of automatically re-election.As the current Ceann Comhairle Kirk does not hold a political affiliation, but he will rejoin the Fianna Fáil party (to which he previously belonged) assuming he is not re-elected as Ceann Comhairle. Kirk was a farmer and agricultural adviser before entering politics, and has previously represented Louth at senior level in gaelic football.